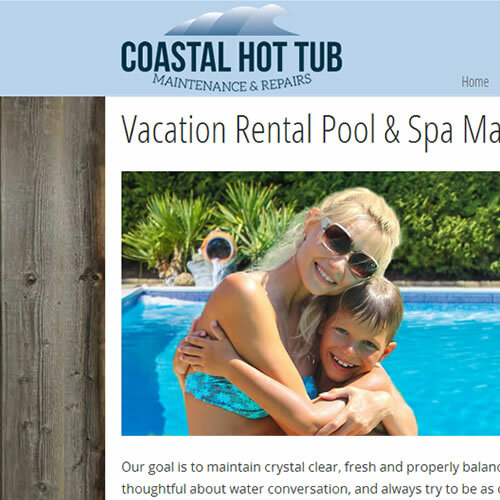 We welcomed a new client to the Akira Media Designs family this week: Coastal Hot Tub. This is only the second site we’ve launched using a premade theme and we had to hack the code a little bit to get it to do what we wanted, but the end result is a clean looking site that has a strong identity and didn’t end up costing the full amount of a custom design. If you’re working on a budget and are willing to make some design compromises, then a template is a good alternative for you.